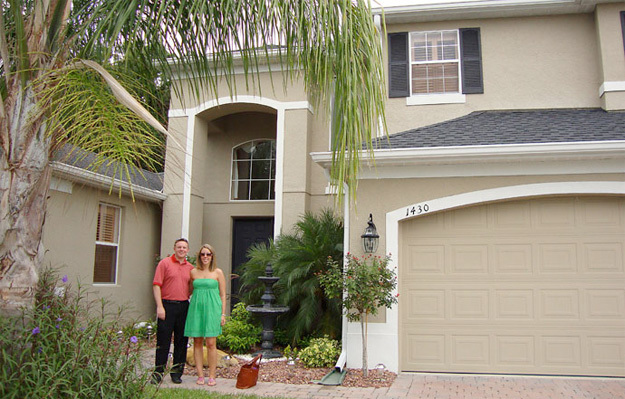 Sarah and Rob, congratulations on your new home in Sanford FL! We hope you get to enjoy your beautiful home for many years to come and we are excited that, in the end, you found your perfect home! We had the pleasure to help Rob and Sarah, a young couple that had recently moved to the Lake Mary area, with their home search. Rob and Sarah were first time home buyers and after moving here, had decided to live in a nearby apartment complex for a year in order to get to know this area a bit better. That is by the way a very smart way to really figure out where you want to be located. Taking your time will help you figure out how important location is, for example, how important your commute really is, or how much you really enjoy having dining and entertainment close by. So when Rob and Sarah contacted us they really knew what they wanted and were determined to find it – and so were we! After only a couple of times looking at homes they found a home that they liked and put an offer on it. However, since it was a short sale it did end up taking too much time and so we had to move on. Turns out, that was a good thing because just around that time, their beautiful home-to-be popped up in the MLS system and won them over with its charm.